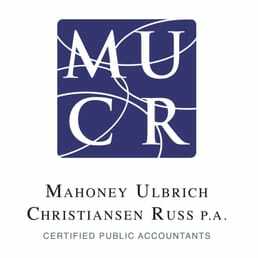 Mahoney Ulbrich Christiansen and Russ, PA is a full service CPA firm located in St. Paul, MN. They provide a full range of professional services including accounting (audit, review, compilation), tax planning and return preparation for all tax types, and general consulting to individuals, businesses, and nonprofit organizations. Work For Mahoney Ulbrich Christiansen and Russ, PA? Claim This Page.